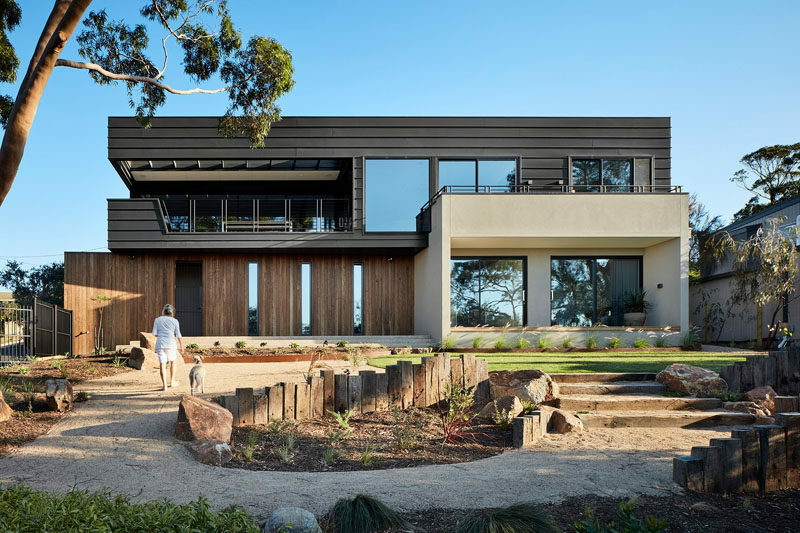 This contemporary house by Bryant Alsop Architects was designed for a semi-retired couple and their dog who wanted a private haven to entertain guests, and at the same time would engage with the surrounding trees and bay views. 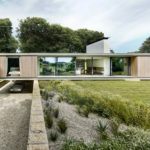 The architects were asked to create a home that had a sense of relaxation where the owners could escape their weekday life. 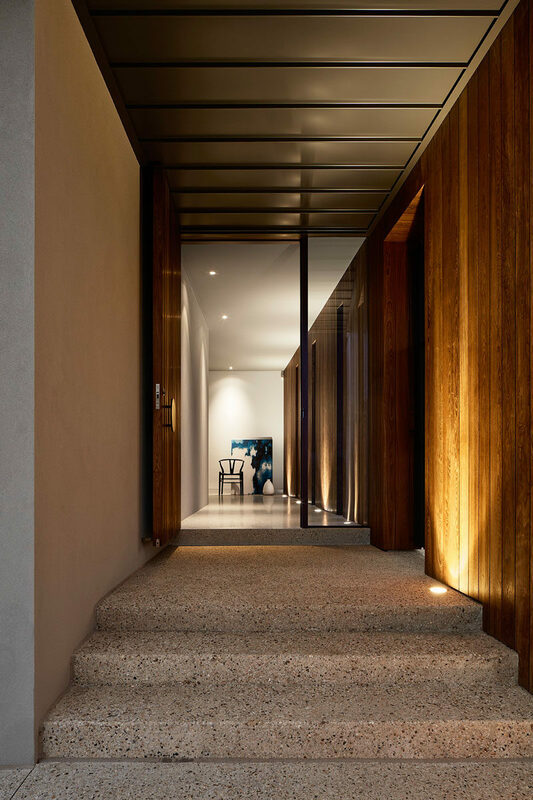 Upon entering the home, you’re greeted by wood stairs that take you up to the main living level of the house. 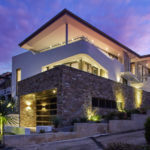 The living area opens up to the balcony with views of the surrounding area, making it a great space for indoor/outdoor living and entertaining. Beside the living area is the indoor dining area and kitchen. In the dining room, the black chandelier matches the black chairs, while in the kitchen, a bright white kitchen island is a strong contrast against the dark wood cabinetry. 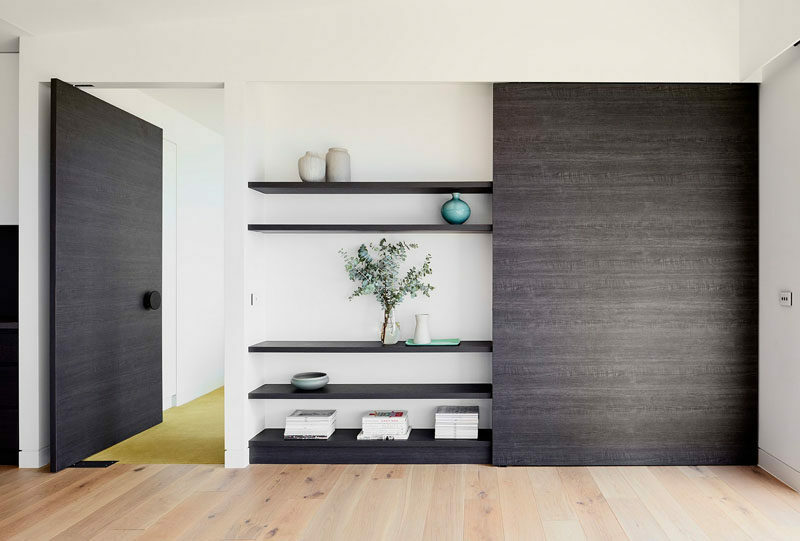 A custom dark wood wall unit displays personal items and matches the large wood pivoting door that leads to the bedroom. 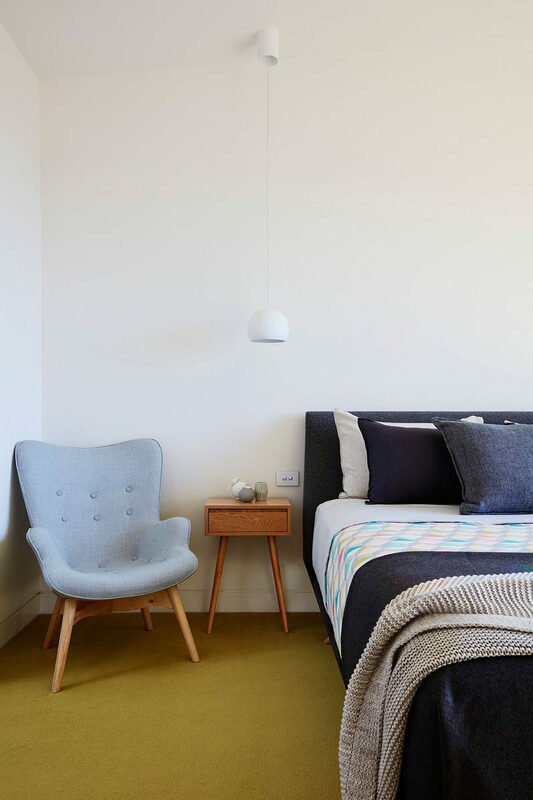 In the bedroom, bright carpet creates a sense of fun, and simple white pendant lights have been installed as bedside table lamps. 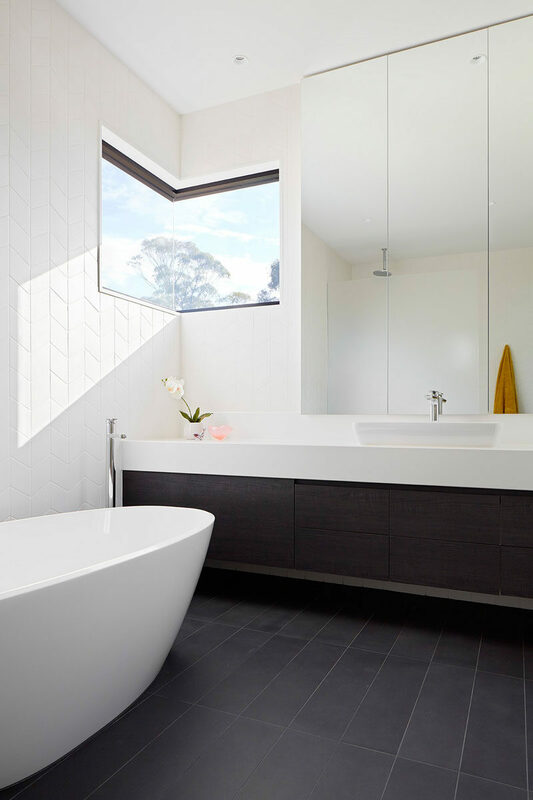 In the bathroom, floor-to-ceiling tiles line the walls, and a corner window allows for lots of light to enter the space.